Welcome to Boaters Paradise with no bridges to the Gulf of Mexico!! This TURN-KEY, immaculate 3/2/2 gulf access home is 1280 sq.ft. of perfect size with three bedrooms, two full baths and a plentiful great room with cathedral ceilings. This home comes fully equipped and fully furnished. Gather in the large kitchen with friends and share drinks and appetizers around the kitchen island that seats four, or the dining area that fits a 6-foot table for dinner. Stretch out in the large Florida room that over looks the canal at sunset, or cook your favorite fish on the grill at the cement dock while you wave to the neighbors boating by. Load up the boat with beach towels and a picnic basket at the Captains Walk and sail over to Cayo Costa Island State Park. Boat over to Jimmy Buffet's "Cheeseburger in Paradise" in Pine Island Sound or dock at the restaurants and art galleries in the village of Matlacha just minutes away. This home is also minutes away from the Gulf of Mexico and our famous beaches! 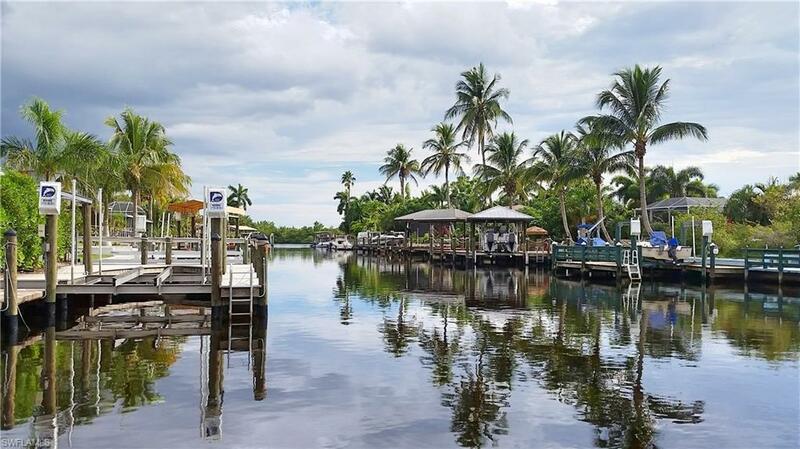 Perfectly tucked away in a charming boating community but close to restaurants, shopping and grocery. It's the perfect price for the perfect home in this Sunny Florida paradise.